Did you know that creatives are 25% more likely to suffer from a mental health issue in their lifetime, or that now, 1 in 10 people in Ireland are affected by depression? Creating a stronger design community means facing these issues, putting a spotlight on mental health and how we deal with it as colleagues and agency principals. 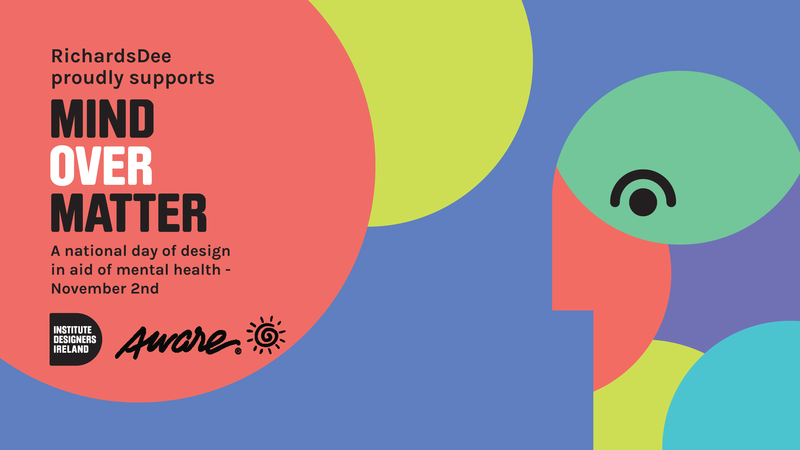 It is our responsibility as a community to support each other which is why we are proud to give our time for Mind Over Matter on November 2nd, a national day of design in aid of mental health. The day is dependent on the design community giving their time, and businesses engaging and paying a fee that is donated directly to Aware. For a fee of €60 anyone from an established business to a start-up or an entrepreneur can book a consultation hour with a designer. The fee goes straight to Aware, while during the hour you will find innovative solutions and discover new opportunities, while raising money for a great cause in your region.